For several years, Bridgeport High School Prom has included Prom Promise, the organization of an alcohol/drug-free celebration – providing an alternative to drinking parties that have become commonplace following high school proms. The Prom Promise steering committee held its initial meeting Feb. 7 at BHS. Chair Leslie Winkie said the focus is to increase awareness of alcohol/drug-related crashes involving teens, thereby reducing the number of fatalities associated with teenage drunk driving. The chaperoned event will be held at Buffalo Wild Wings in Charles Pointe following the May 4 BHS Junior-Senior prom at Bridgeport Conference Center. The venue, which has been utilized in past recent years, is in close walking distance to the prom location and has been more than accommodating in years past, Love said. To make it fun for students, the event will feature food, games and lots of prizes, from gift cards to electronics to outdoor adventure gear. 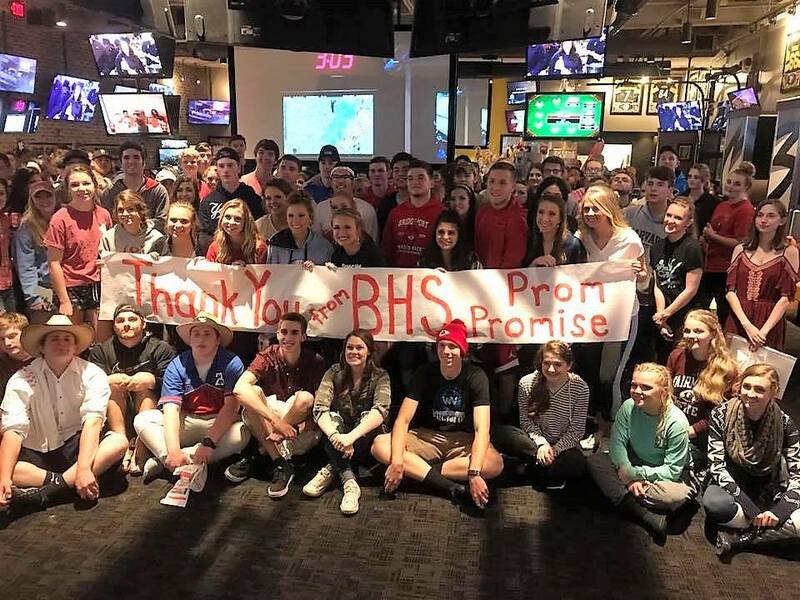 Area businesses are being approached by the Prom Promise Committee and BHS Junior Class to support this year’s post-prom event. “We are asking for monetary donations which will be used to purchase prizes to be given away throughout the after activities,” Winkie said. Anyone who would like to contribute toward that important cause can send checks, payable to BHS, and mail to BHS Prom After Activities Committee, 515 Johnson Ave., Bridgeport, WV 26330. In the past, hundreds of students have turned out for the post-prom activities and businesses have been most generous in supporting the event. “It is our hope that you will once again consider contributing to this evening of fun for our students,” Winkie said. The goal is to raise funds throughout February and thereafter review efforts at the next meeting of the committee, scheduled for later this month at the BHS cafeteria. Co-chairing the steering committee is Naomi Smith. Junior class officers are President Carson Winkie, Vice President Elijah Smith, Treasurer Ben Mossburg, Historian Mac Madden and Secretary Clay Fiest. Executive junior board members are Sophia Duarte, Taylor Holipski, Abby Jeffers, Lindsey Suter, Rachel Steele and Madie Wilson. Junior student body members are Miranda Kress and Sophia Gorby. See a copy of the fundraising letter HERE.